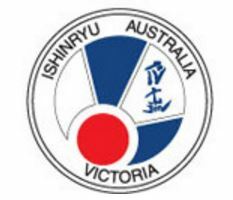 We are a member of the Australian Karate Federation (AKF). Our Programs are designed to not only train our students in the time-honoured traditions of Ishinryu karate but are also a great way to get fit, each incorporates the 3K’s Kihon (basics), Kata (forms) and Kumite (sparring). These programs are not only an exercise for the body but one for the mind as well. Discipline is the key to success in any pursuit in life and Karate can help develop these valuable skills. When the mind works in harmony with the body it becomes an awesome weapon giving you the confidence to use these skills only as the last means of self-defence. Sensei Bruce Hyland 7th Dan former National & State Coach and USA-National-State Champion philosophy has been since 1975 is the “we don’t just build champions-we build people” producing champions at all levels of competition,some becoming National and State Coaches, guiding others to open their own dojos completing the circle but the most important aspect that an children-teenager-adult or special needs person begins the journey of personal development, click on the programs tab and discover sessions for males and females of all ages and begin your journey.